Godolphin trainer James Cummings says he is delighted with both Alizee and Hartnell as Saturday's $5million All-Star Mile fast approaches. Alizee has been handed a tough barrier draw after landing gate 12, but is still the one to beat, while Hartnell, who will be ridden by William Buick, has drawn perfectly in barrier two. I'm delighted with both of them and they are both in really good shape for the race. The duo performed trackwork at Flemington on Tuesday morning, and speaking afterwards Cummings admitted they are both right where he wants them heading into the race. "They're both going beautifully," Cummings said. "I'm delighted with both of them and they are both in really good shape for the race." Alizee is 3/1 on a win and each way bet to win the All-Star Mile with Hartnell 13/1. Alizee galloped between races at Flemington on Saturday and Cummings said the mare and Hartnell only had light workouts on Tuesday to maintain their fitness levels after their strong runs in the Group 1 Futurity Stakes (1400m) at Caulfield last month. Cummings said they both had good fitness bases when they left for Melbourne, which stood them in good stead in the Futurity Stakes and the period leading into the All-Star Mile. "I was pleased with the three weeks they have had since the Futurity," Cummings said. "We had the opportunity to afford both horses a wonderful foundation before the Futurity and we saw with the wide runs that they both had, they were both hitting the line very strongly late. They should be coming into this really nicely." Star jockey Hugh Bowman will take the ride of Alizee this weekend. 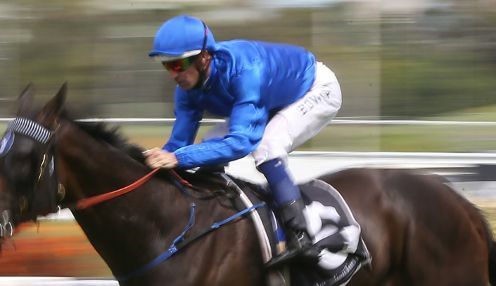 A week after the All-Star Mile is the Golden Slipper with Tenley 5/1 to win and Microphone 15/2.